It's undeniable how great Jamaican food is, especially anything jerk! 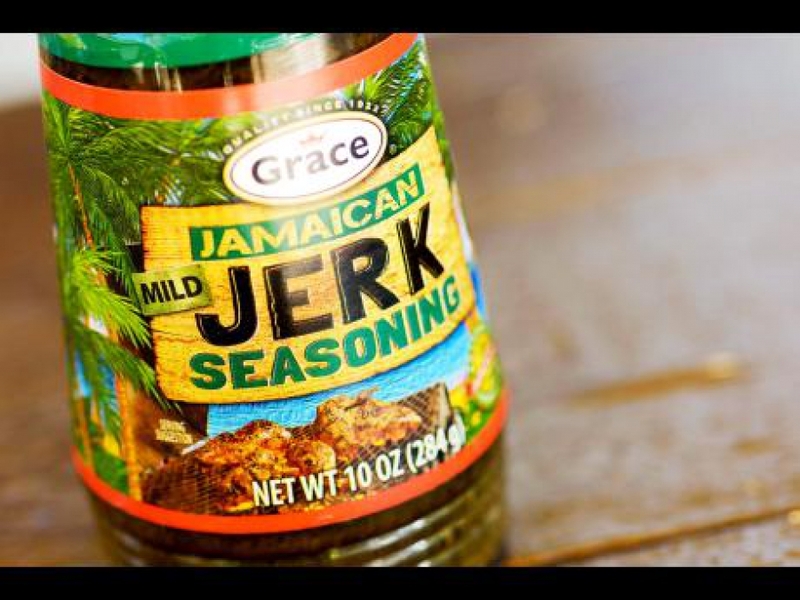 People from all over the world, 'yaad and abroad', find whichever means possible to get some of that cravable Jamaican jerk flavour in their lives - whether it's buying a plane ticket to Jamaica, or grabbing Jamaican jerk seasoning off the shelf at their nearest supermarket! GraceKennedy has bottled that delicious and addicting jerk flavour to bring it worldwide with their Grace jerk line of sauces and seasonings! Earlier this summer, well-known international foodie show Food Quest flew to Jamaica to see and taste that delicious Jamaican Grace Jerk for themselves. So, Grace teamed up with international chef Andre Fowles to create a few jerk recipes to share with their audiences. But of course, they had to share them with Jamaicans at home first! Here's a first-look at the recipes that Chef Fowles whipped up with Grace Jerk that will air next week Thursday September 20 at 10:00 p.m. on FYI, and again on Friday, September 21, at 2:00 a.m. on FYI and on Saturday September 22 at 10:00 a.m. on A&E! Tune in to see Chef Fowles and Grace Jerk bringing some Jamaican 'flava' to Season 2 of Food Quest! 1. Add the Grace Jerk seasoning, ginger, garlic, Scotch bonnet, olive oil and lime zest, pineapple juice and juice to a small bowl. Generously season with salt and pepper. Whisk to combine. 2. Pour half of the marinade mixture into a resealable zip-top baggie. Add the shrimp and marinate for 20-30 minutes in the fridge (do not marinate for longer than an hour, or the acidic lime juice will start to cook the shrimp). Save the remaining half of the marinade for later. 3. Preheat the grill (or grill pan) to high heat and brush the grates with oil. 4. Remove the shrimp from the marinade and thread three shrimp on to two skewers, at a time. 5. Place the skewers on the grill and cook for about 2-3 minutes per side until pink and no longer opaque. 6. Place the corn on the grill. Rotate to char all sides. Use knife to remove the kernels and discard the cob. Place the corn into a bowl then add the chopped cilantro, lime juice, red onion, cucumber, salt, paprika, black pepper and mango. 7. Strain the marinade mixture that was set aside and drizzle over the grilled shrimp. Garnish with chopped cilantro and serve with the grilled corn.